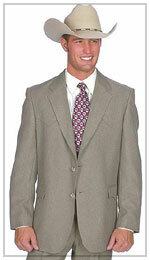 If you are frustrated shopping for business clothing because of the limited selection, sizes and styles, we can help. As a Hong Kong Tailor, we specialize in custom tailored suits, dress shirts and slacks. With over thirty years of experience in the business, our highly skilled professional tailors create stunning garments to fit your specific measurements. Our tailor made suits come in a wide variety of fabric and color selections. There is sure to be one that is right for you. And, our tailor made suits are probably more affordable than you may have imagined. High quality garments do not have to cost a fortune. We work hard to ensure that each garment meets the highest standards. This is why our business has continued to grow over the years. Looking great does not have to cost much more than buying dress clothes from a top department store. You will be amazed at how much better you will look and feel in custom tailored suits, shirts and slacks. Properly fitted clothes are far more comfortable and professional looking than something off the rack. And with so many colors, styles and patterns to choose from, you will be able to create a unique and stylish wardrobe. There are also several different fabric blends from which to choose. If you are not sure about the difference between one-ply and two-ply cotton and broadcloth, we can help you select the right fabric. We hand cut and sew each garment including dress shirts, tuxedo shirts, top coats, vests, slacks and sport jackets. This ensures a custom fit like no other. A professional looking wardrobe is a smart investment. And with our affordable prices and high quality garments, you will be able to enjoy the luxury of handcrafted clothing. We invite you to browse through our garments and select a few key pieces to add to your wardrobe. We're confident that you will be pleased with your order and will continue to treat yourself to the quality garments you deserve.